This month, ARC is reading Uglies by Scott Westerfeld. This is my second go at Uglies, I didn’t finish it the first time around. I don’t remember why. In addition to discussion, I have a couple other activities planned: the Opening Lines Matching Game and it’s time for us to select more books to read (yay!). For book selections, I generally let everyone write down suggestions to put in a basket and then we pull titles at random. We then look up a description of the titles pulled and vote on whether or not the club wants to read it. We will choose about 6 books at a time. I also put a few titles into the basket (which is how we ended up reading The Name of the Star last year). The teens enjoy this method because everyone gets to be involved in selection and they feel like their voices get heard. On to the discussion questions. This month I’ll be using questions that Mr. Westerfeld himself wrote (found on his blog). Just put this one up today on all of our social media sites. 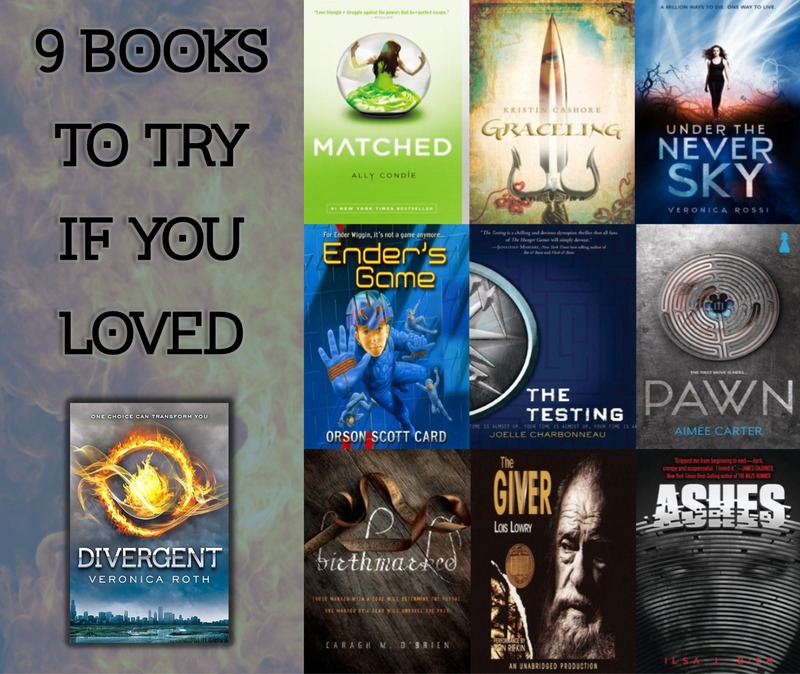 We have 139 holds on our ebook copy of Divergent. There is no way we can purchase enough copies to get through the list quickly, so I created this graphic to present some other options in our collection.